As students, many of us have a career in mind that we envision ourselves doing in the future. There are many things that we can accomplish that will help us reach our career goal. For example, getting involved in clubs, obtaining work experience, networking, or getting a high GPA. A lot of times, we have a plan on how we can get to our destination. However, that plan may not always go according to the script. For example, you may not have gotten the job that you really wanted, you may have bombed a midterm, or you may realize that the career you always envisioned yourself doing is not right for you. Have no fear! 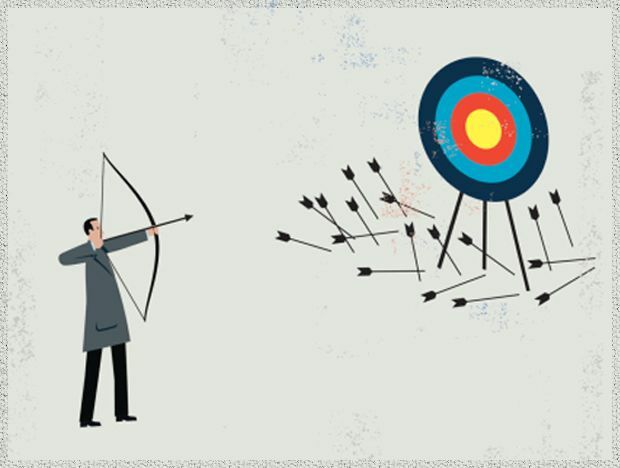 Here are four tips to remember when you encounter failure. In the past year, I wanted to get involved with an extra-curricular club because it would give me a chance to develop employability skills and expand my network. I had been eyeing a school club for months and when a position opened up, I immediately applied. I sent in my resume, did an interview, and received a rejection email. After receiving the rejection email, disappointment and self-doubt immediately took over. I allowed myself to feel the disappointment and self-doubt for a short period of time before picking myself up. I knew I had to accept and make peace with the reality of rejection before I could truly overcome it. The first and most important step to getting over failure is to accept the reality of the situation as fast as you can. Often times when we fail, disappointment, self-doubt, and regret occurs. We think about how the result might have changed if you did this action or that action differently. However, when have the feelings of disappointment, self-doubt and regret ever eased the process of overcoming the pains of failure? By making peace with the fact that the failure happened, we could move on and even take action! This allows you to focus your energy on the future rather than the negative feelings that come with failure. I reflected honestly about the whole application process to pinpoint the reason why I was rejected. I realized that I was comfortable writing a solid resume; however, the area that I lacked in was my performance during the interview. I prepared a couple of answers for the general interview questions prior to the interview but I did not practise it aloud. During the interview, I frequently stuttered and had a difficult time articulating my answers. Additionally, I was stumped on a few of the questions that I was asked. For future interviews, I knew I had to work on my preparation and learn more about the different interview questions. Whatever doesn’t kill you makes you stronger. True, to a certain extent. Failure can make you stronger, but only if you choose to learn from it. In order to gain a greater sense of clarity and understanding, it is important to think about the reasons why failure happened in the first place. Ask yourself questions like, “What did I learn?”, “What could I do differently next time to improve my chances of success?”, “What were some things I did well and things I could improve on?” You can minimize the chance of repeating a failure by applying the lessons you learned in your initial failures to future situations! I asked my friends who had a lot of interview experience for tips on preparation and on how to answer different type of interview questions. I also attended an interview workshop offered by the Beedie School of Business to gain more knowledge and to have my questions answered. Lastly, I learned all about interviews from my supervisor in my current volunteer position as a Career Peer Educator. When we fail, we try to look for answers. And sometimes we don’t have all the answers and that is totally fine. The good news is there are people that could help you with your battle against failure. For example, you may not understand a certain problem in a lecture or how to write a well-written resume or cover letter. However, I bet your professor knows how to solve that problem and a career adviser could go on for hours about how to write a resume. Also, remember you have your friends and family to lean on for support during tough times! I applied to different volunteering opportunities with the new interview skills I acquired after my initial failure and I was eventually accepted by one of the organizations. I couldn’t help but grin from ear to ear when I received the acceptance email! Not everyone gets things right the first time and that’s perfectly fine. Try again with the lessons that you learned from initial failure and don’t give up! Life is often forgiving and gives you multiple opportunities to try again. It is only considered a failure when you stop trying! Thomas Cao is a third year business major student concentrating in human resources. He is a strong believer in personal growth, being persistent and hard work. In his spare time, he enjoys following the world of sports, exercising, and assisting students in his current role as a Career Peer Educator.